Our collection of women’s alternative coats from some of the best names in the alternative industry assures you the best look around when it comes to the wild, wet and windy British weather. Okay, so we’ve got great looking girls in winter jackets but you know that you’ll probably end up wearing these coats every day thanks to their awesome designs and comfort, plus we all know how freakin’ cold it is in the UK during the winter! 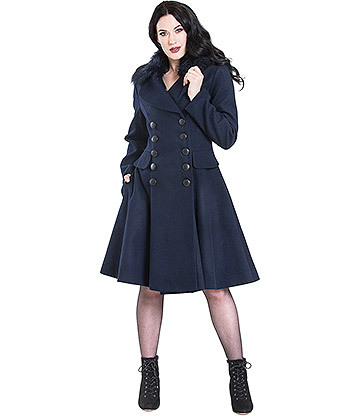 Complete with great looking varsity jackets, long trench coats and awesome fashion statements that will keep you cosy without the need to wrap up like a mummy, Blue Banana is a great place to purchase women’s alternative coats with style. Stylish women’s coats from Blue Banana keep you comfy and cosy no matter what the weather throws at you as well as providing a whole range of styles and designs that get people talking. 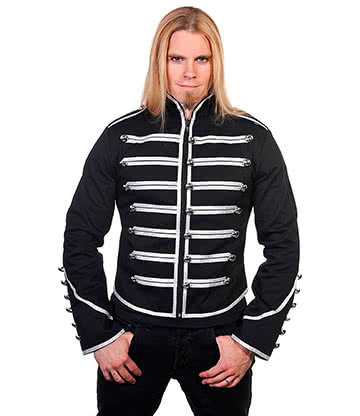 Whether you’re interested in something bold from Criminal Damage or a new long coat from Living Dead Souls and their unique dark style then you can find the ideal fashion jacket or coat from our selection. Winter jackets needn’t cost the earth either as we have many women’s alternative coats at affordable prices that everyone can enjoy! We’ve got a massive range of different styles, one of which is sure to suit the look you’re going for down to the ground. All you need to do in order to stay at the height of alternative fashion during winter is to wrap up warm with one of these brilliant women’s alternative coats – we’re sure that you won’t be disappointed! The huge collection of women’s alternative coats and jackets that we’ve got in stock is only going to keep growing, so if there is nothing that catches your eye at the moment, come back soon to see what casual jackets we’ve got in store. Each year we put a massive effort into the range for every season, but are particularly proud of our women’s winter coats. The whole team puts a huge amount of effort into these because we know that they are important to you, and you are important to us. Therefore, if you want something smart for school or work, or you want something more casual to keep you warm, this is the place to look first. 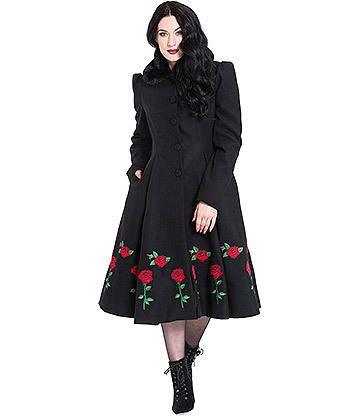 For top quality women’s alternative coats and jackets at an incredible price, come to your favourite alternative clothing store.